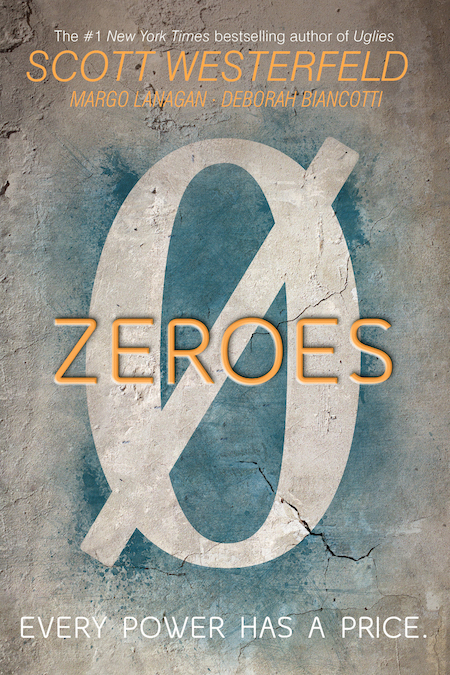 Here is the cover for Zeroes! I am unusually proud of this cover, because I made more of a contribution than usual. Authors do get a say in their covers, sometimes. But it’s not like we’re graphic designers, so nobody has to listen to us. In this case, though, I got lucky. My designer, the lovely Regina Flath, had sent us all an early version of the spray paint design. It was definitely moving in the right direction, but we wanted it to have a little bit more texture. But what kind of texture? Concrete? Dirt? Something gritty, we knew. So I went out for a walk to think about it, and on the way down my stairwell in Sydney, I saw a magnificent three-part crack in the concrete floor. And the two images melded in my mind, as if by magic! So I sent Regina a photo of the crack, and the rest is history. Bonus: There actually is a crack in a wall in Zeroes, playing a small but key role in the narrative. Also cool: The actual title will be printed in a so-called fifth color, and thus will be an eye-spanking florescent yellow. 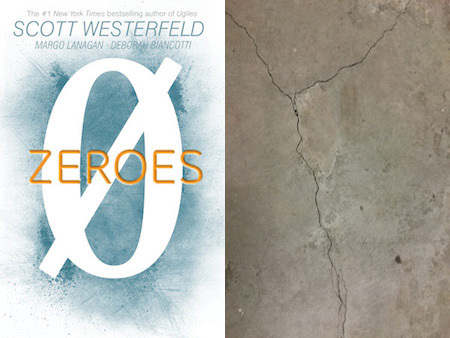 Zeroes comes out September 29, 2015. I love the cover. I love faceless covers. I must have it in my hands. Where can I preorder thus NOW? I like faceless covers, too. It grabs my attention, but isn’t overstimulating. Nice. I like it! Always exited for new work from you and I do like Superheroes. 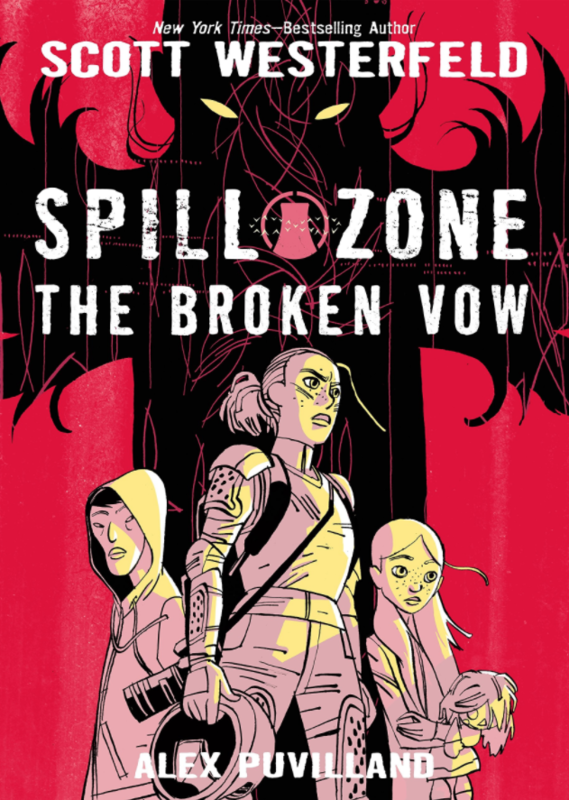 However, I decided to add this to my countdown app and I discovered that this book is coming out the same day as Maggie Stiefvater’s Raven King! Two new books in one day from two of my favorite authors!? I LOVE IT! I love how raw and real it looks…..wait! You were in Sydney?!! And yes, Malou, I’m in Sydney AS WE SPEAK. Ooh, I like it! Quite appealing and, as others mentioned, it’s not a FACE! cover. I can’t wait til September! QUESTION: did the two other authors contribute an equal amount of content to this book? Or was it mainly you? Is your name the biggest because you’re the most well known? HMM. Very nice, Scott! The concrete really gives it texture. We all contributed equally, but yeah, I’m more famous. A cover is mostly just an ad for the book, after all. I can’t wait to read this! I really liked Afterworlds and the Leviathan series so I’ m sure I love this too. The cover is great and description sounds good. But what kind of genre is this book?